Ever wondered what everyone else was running in their system? 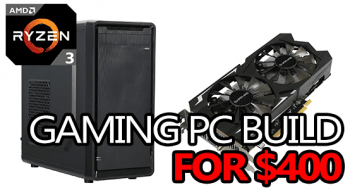 Questioning how your build stacks up against the average? Are you above it, or below it? Or, are you somewhere in the middle. Thanks to statistics from the Steam Hardware Survey, you don’t have to wonder any longer. With that in mind, let’s break down the statistics and try to figure out where the median line sits. 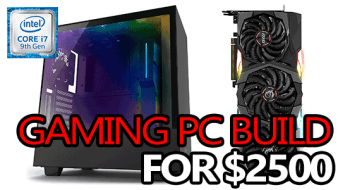 Are most people running budget-level builds, or is everyone running a beastly GTX 1080 Ti + i7 8700K + 128GB of RAM? Let’s find out! Keep in mind that these statistics are not 100% accurate. The information is only gathered from Steam users who opt into the Hardware Survey. 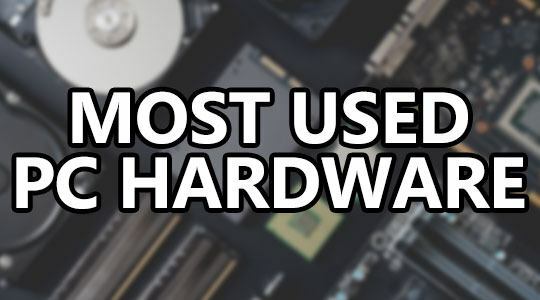 However, this utility has often proven itself as a relatively accurate representation of the distribution of hardware, so that’s why we use it. Let’s start by breaking down the 15 most used graphics cards as of August 2018. Why only the top 15? 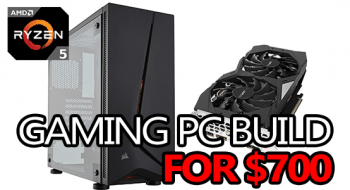 Because everything beyond the 15th position comes in at below 1%, including cards like the AMD RX 580 and the Nvidia GTX 1070 Ti. Also, there are statistics from well over 100 GPUs cataloged on the SHS, so that would make for one insanely long chart – too long! What do these stats tell us? For starters, it tells us that only a very small portion of PC gamers are running a GTX 1080 or greater. In fact, between the GTX 1080 and GTX 1080 Ti, there are only 4.17% of us using one. In comparison, the vast majority of gamers are running either a GTX 1060 3GB/6GB, an equivalent, or a lower-tier card. Unfortunately, the Steam Hardware Survey only classifies their processor statistics by CPU core count, individual speeds, and brand. But, there’s no break down of which specific processors people are running. 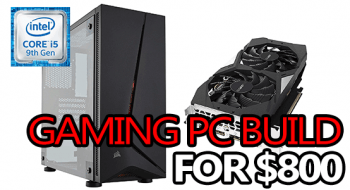 However, based on the stats and our knowledge of PC hardware, we should be able to get a good idea either way. According to the SHS, 83.53% of people run an Intel processor, and 16.37% run an AMD processor. Beyond that, we’re going to break down the CPU core count stats. Hopefully, this will give us an idea what level of processors people are running, at the very least. As you can see, quad-core processors are still, by far, the most commonly used. Followed by dual-core processors and then hexacore. So, don’t feel bad if you’re stilling running a quad-core processor and you keep getting told: “no one runs those anymore”. Because that’s objectively false, based on the available statistics. It’s worth noting, according to the stats, dual-core processors saw a -4.31% drop in their popularity during August. In comparison, quad-core to octacore processor popularity grew by a total of +4.22%. 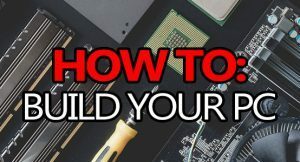 So, if you’re running a dual-core processor, you might want to start considering an upgrade sooner than later. How much RAM could a RAM Chuck chuck, if a RAM chuck could chuck RAM? Hopefully no less than 8GB worth, because that’s the least amount even the most basic gaming PC should be running. Even I cringed from that. Still, worth it. 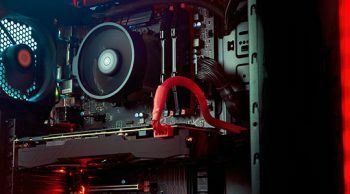 Surprisingly, 11% of people are still running less than the 8GB minimum that gaming PCs should have in 2018. It’s a little strange to see 7GB configurations being popular considering the weird array of sticks that would require. Beyond that, most people are running at least 8GB with almost as many running 12GB+. Currently, 12GB+ setups are growing the quickest on a month by month basis and I wouldn’t be surprised to see them become more common than 8GB within the next year – especially with RAM prices slowly dropping. You might think that a lot of people are running either 1440p or 4K monitors. But, in reality, there just aren’t that many. In fact, there are more people running 900p monitors than there are 4K. As of August 2018, 1920 x 1080 (1080p) is still the most commonly used resolution, by a tremendous margin. The next most used resolution is 1366 x 768 – I’d imagine there a lot of laptop users in this segment. Beyond those 2 resolutions, it’s a toss-up from 1024 x 768 all the way up to 4K and beyond, with each holding onto their own small piece of the monitor pie. So, it’s safe to assume that neither 4K nor 1440p will become the new standard anytime soon – not with a margin that big! 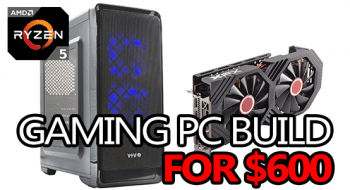 Maybe in a year or two, but as of right now there’s little point to rush out and buy a 1440p or 4K monitor if you’re just looking to keep up with everyone else. Is your single 500GB SSD above or below the median line for average storage? Wouldn’t it be cool if there was a chart to show you? Thankfully, 0% of people are running less than 10GB. If that sum was anything other than 0.00%, I would be worried. Beyond that, it’s probably not too surprising to discover that 1TB+ setups are the most common by a big margin. Well, RTX on, or RTX off? 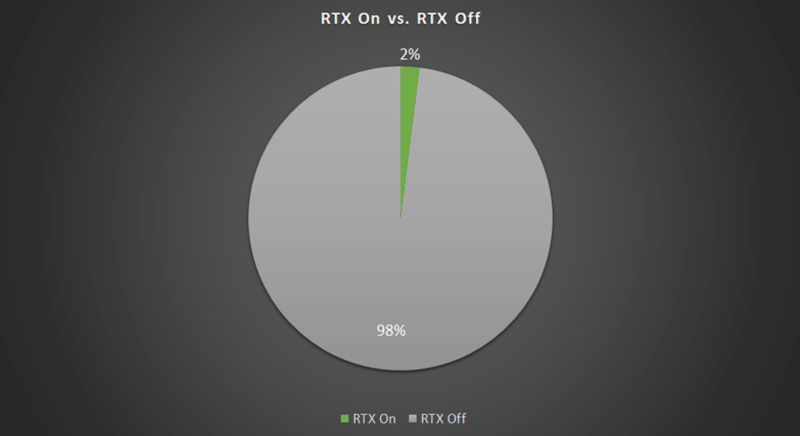 As you can see, only 2% of people with RTX enabled cards are able to use the feature. This includes those who are developing RTX-enabled games and in-house Nvidia testers themselves. The other 98% are the people who bought an RTX graphics card at release. Now that you’ve seen the stats, how does your build stack up? Are you in the small percentage of gamers running top-tier hardware, or are you part of the much larger middle ground? We learned that most people are running mid-range builds or lower. 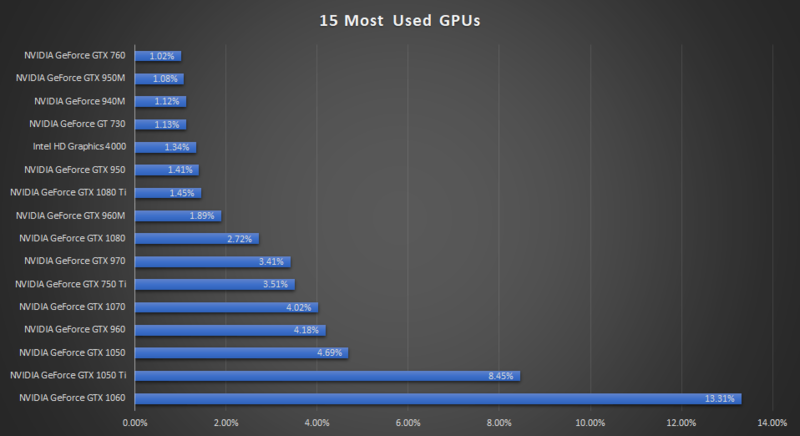 The majority of the top 15 most used GPUs range from the GTX 1060 and down. 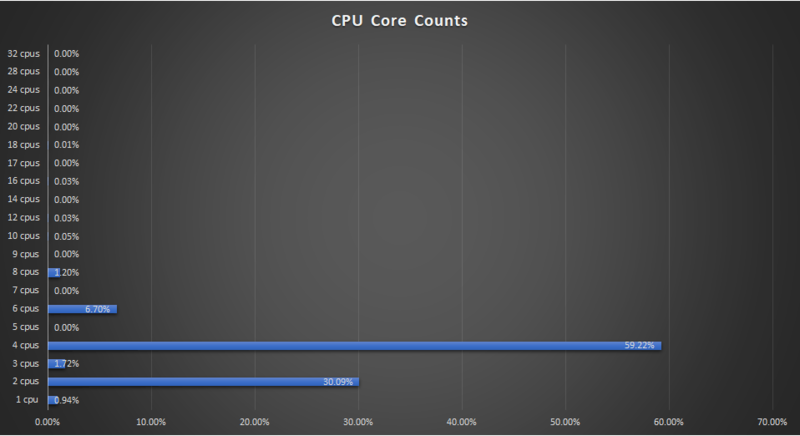 Most people are running quad-core Intel processors, and there’s a large group still running dual-core CPUs. 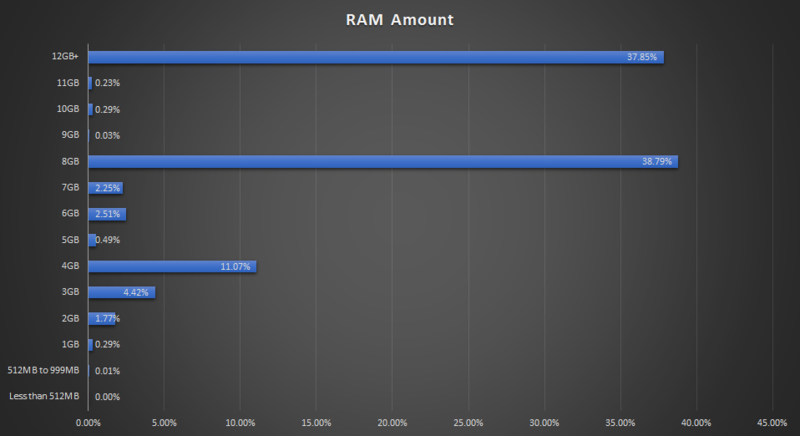 8-12GB+ of RAM is the most common to see, with 8GB setups being a hair more popular. 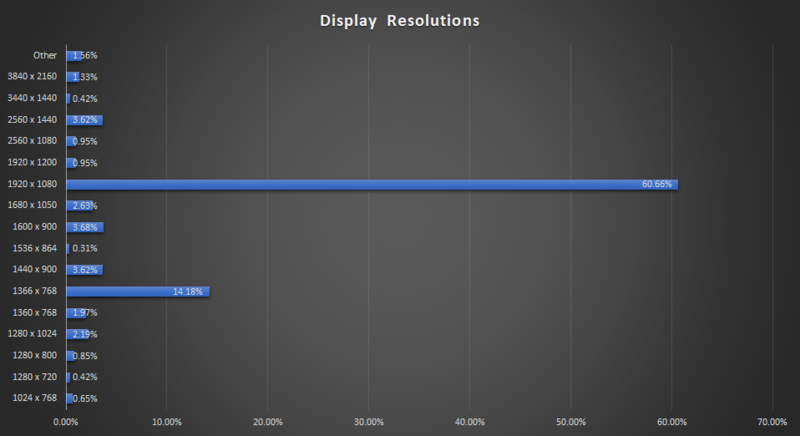 1080p is by far the most popular display resolution, with 1366 x 768 holding 2nd place. 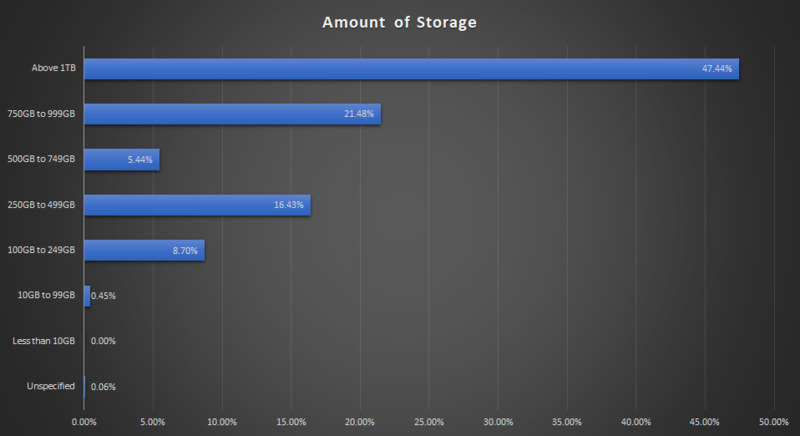 In terms of storage, most people are running 1TB+ configurations, but 750-999GB is also quite popular. 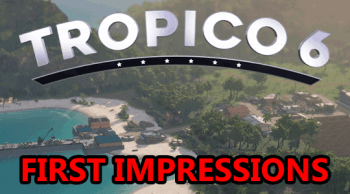 Were you surprised to discover that so many people are still running sub-1080p resolutions? I was. What about the dispersion of graphics cards, was it shocking to see the GTX 960 holdiitsnto it’s popularity for so long? What about the GTX 750 Ti? Whatever you found interesting, or didn’t, I hope something on this page piqued your interest, if not just a little bit.